I chose Work the World as a friend of mine had travelled with them the previous year and loved it! I didn’t know then that it would be the best decision I’d ever make. I’d be lying if I said that I wasn’t extremely nervous about jetting off and spending 6 weeks in Sri Lanka, but as soon as I saw Mewan’s cheeky grin at arrivals this fear completely disappeared. Mewan was the first of many friendly faces I met and will never forget. Everyone who worked at the house was always there whenever you needed them. Whether that was having a catch up with Nandika about my placement, making fun and joking around with Mewan, thanking Champika for all her hard work cleaning or tasting Aloysius’s INCREDIBLE food. I still have no idea how they made the house feel so much like home! On my first day of placement Nandika showed me around the hospital and introduced me to Nalin (the funniest CNO going). After discussing the fact that nobody from my university had ever done a placement in Kandy I was taken up to the children’s medical ward where I would spend 2 weeks before moving on to the different units I had requested to work on. That first day will always be with me - I was hit with the shock of the thick language barrier, how different the surroundings where and quite simply how far out from my comfort zone I was. 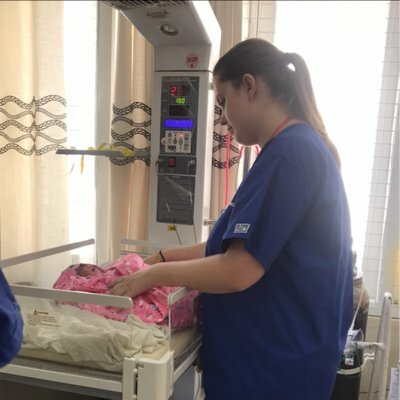 However after spending time on two medical units, various surgical wards and maternity, everything was enjoyable and I even shocked myself at how natural Sri Lankan nursing life became. I was lucky enough to venture out from the hospital occasionally and visit the Kandy Nursing School, which was such a good experience to see the programme in place in which student nurses were taught. In all it was very similar to my programme taught here in the UK. We were even lucky enough to celebrate the 60th anniversary of the school’s opening and were given a tour around an amazing exhibition of different aspects of nursing care put on by the student nurses. Throughout my placement I made friends with so many sisters and nurses, answering all their questions about my life and what nursing like back in the UK. One thing I loved about the Sri Lankan nursing staff is that from the second the blonde Manc student walked onto their ward they were interested, they wanted to know every little thing about me and were more than happy to share their lives in return; you couldn’t help but feel welcome. There were many differences in terms of nursing care in Sri Lanka compared with that given back in the UK, surprisingly however not as many as I thought. The hospital was much more clean and modern than I imagined and the level of care was at such a high standard. The knowledge that each nurse and nursing student possessed was incredible, definitely matching some doctors based here in the UK. I also took the opportunity to travel on the Ayurvedic Medicine Experience where we spent most mornings in an orthopaedic hospital, where the main care given was traditional with a slight hint of Western medicine. In the afternoon we would complete fun activities with our cultural guide such as bull-cart rides and the amazing Ayurvedic massages. The whole week was bizarre but utterly fascinating, we even got the opportunity to star in a TV show based on the doctor from the hospital, which is something I can honestly say I have never done before! I do know that without my housemates my time in Sri Lanka wouldn’t have been half as much fun. I loved the fact I got the chance to meet so many different people that I would never of come across without Work the World. 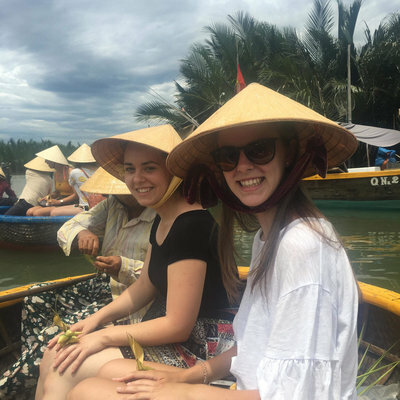 We loved shopping or having lunch at the White House Bakery after placement, or just having a ball seeing the sights of Kandy such as the Big Buddha or the Temple of the Tooth. If we weren’t taking in the beautiful sights of Kandy sat in the back of Amila’s tuc-tuc, we would be travelling to the other amazing places in Sri Lanka and I will never forget the view from World’s End or the amazing beaches of Galle. I don’t think I will ever find the words to sum up my time spent in Sri Lanka. 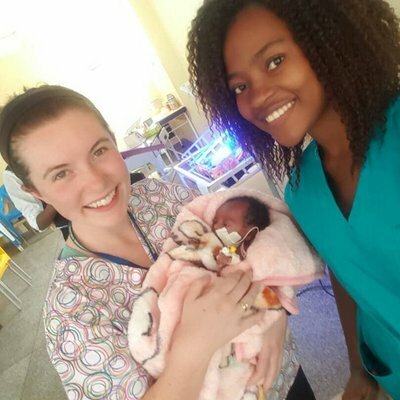 I made so many memories and the whole experience taught me that I was born to do nursing, as I love it in any country. It made me realize what a blessing it is to have such amazing resources medically here in the UK. Kandy is stunning and I have never taken in so much culture from one place before. I came home a different person and know it’s the best thing I’ve ever done. I would suggest to anyone to go get on a plane and experience it for yourself, YOU WONT REGRET IT.